This episode was recorded at the PHPBenelux Conference 2016. I also wrote a blog post about the event. Peter Maynard is a Senior Audience Evangelism Manager at Microsoft. He focusses on Emerging Audiences and is part of the Developer Experience team in Belgium & Luxembourg. Peter is an Englishman, hailing from the North West of England. He now lives in Belgium. We talk about what it’s like living in Belgium as a “foreigner”. The majority of the episode is dedicated to his work at Microsoft. He talks about Microsoft as a company that is in flux. Peter explains what the strategy is behind their change towards a subscription-base model and what the role of the typical Microsoft partner is in that situation. We also focus on developers and how Microsoft targets them, as well as emerging audiences that don’t necessarily have a technical background. Peter Maynard is a very funny and nice guy. Throughout the episode we crack some jokes and there’s a fair share of banter. Thank you Peter, you were a great guest and we appreciate the fact that Microsoft is such a loyal sponsor of the PHPBenelux Conference. 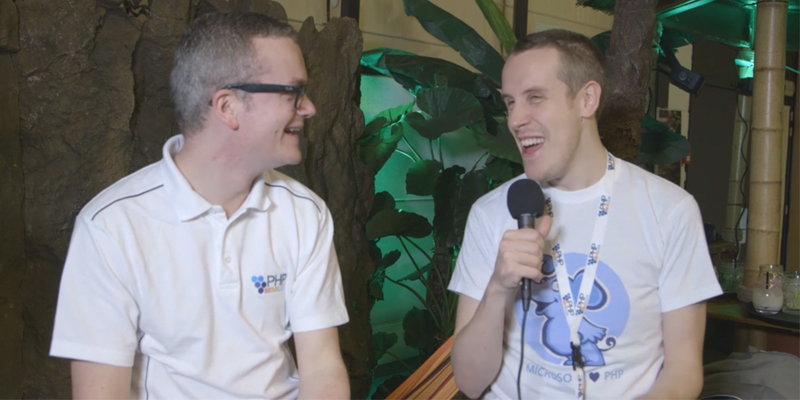 Here’s the video that was recorded in a nice jungle setting at PHPBenelux Conference 2016. You can also directly check it out on Youtube. Want to stay in the loop, why not subscribe?